v7.9 software is out there for many years now and has help a lot of DIYselfer. To continue to maintain the quality and allow improvements while developing others products as V9 wireless AC-CDI, CDI tester and soon TCI versions, I have chosen to switch V7.9 software into a paid product. A free trial version is available for download in the Shop section. Adaptable to other single-cylinder bikes. Need a working charging coil for the capacitor. In the following I describe how this CDI works on a XT600 which have 2 pickup at 12° and 36°BTDC. but it works too with others values or with only one pickup. 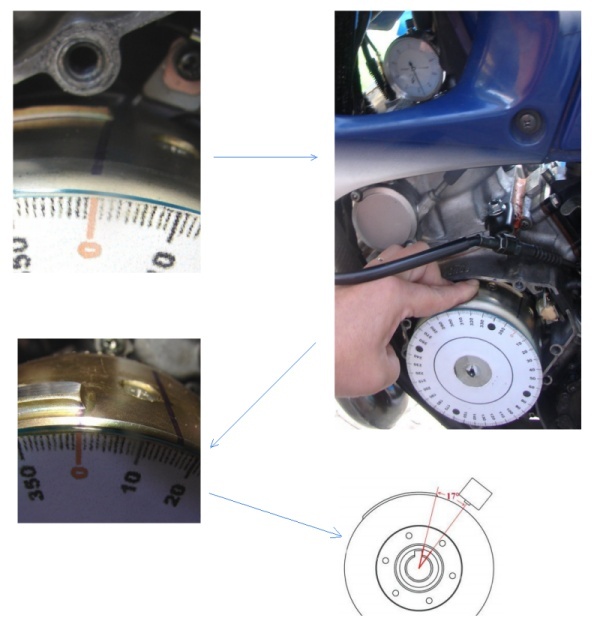 If the bike has only one pickup, connect it to the 36° input and leave the 12° input unconnected. The SCR receives the pulse from the 12° pickup to directly trigger the SCR via D8 R7 C9. The PIC receives the pulses from the 36° pickup. Of course the PIC cannot jump in time to ADVANCE the spark, it can only DELAY it. At idle and low RPM, the PIC generates maximum delay (about 36°) before fire a spark a few degrees ahead of TDC. The spark fired by the PIC comes a few degrees AFTER the spark triggered directly by the SCR at 12° BTDC. So that the 12° pickup is the one to fire the engine and the PIC triggered spark does nothing since it comes a few degrees later. That way, there is no or little advance from TDC at low RPM. As the RPM increases, the more the advance would increase ahead of TDC accordingly. At a point where the timing curve passes 12° the PIC takes over from the 12° pickup and because it fires sooner, it is the one to fire the engine so when the 12° pickup triggers the SCR it does nothing. As the PIC takes over it follows the ignition timing curve programmed in EEPROM. Thus the more the speed increases the more the delay is reduced, advancing the spark. At high speed there is no delay, thus give the maximum 36 degree advance. Pulses coming from the 36º pickup are limited to 5 volts by Zener D5 then drive the PIC (input pin 10). A 0.5ms pulse, delayed according to the eeprom values (the advance curve), is available at pin 1 and trigger the SCR T1 via D4,R7,C9. This pulse is manually adjustable from 0.5ms until 5ms or can adjust itself automatically. from the ignition timing in the EPROM (advance map is not protected). 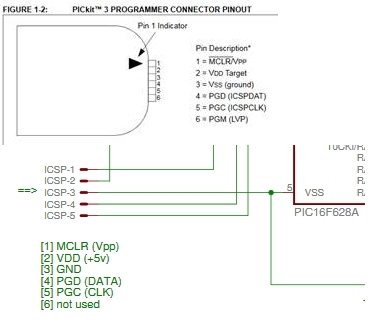 Just draw the new curve in the excel sheet, program values in the PIC’s EEPROM using either the ICSP connector or a classic PIC programmer then restart the CDI. That’s all done! Only change the yellow cells. Type in the max timing advance your bike uses in cell F5. The pulse coming from the PIC that trigger the SCR can be adjusted from 500us until 5ms or in “AUTO” mode (cell M29). Except for specials needs or lazy SCR, leave the default value of 0.5ms. Select the maximum RPM by changing the variable TIMER1 in cell B9. As TIMER1 has only 94 values, if you set the highest RPM to 29297RPM (meaning TIMER1mini = 2), the maximum value of TIMER1 will be 96 (94+2) therefore the minimum RPM still adjustable will be 610RPM. Play with prescaler value in cell M26 AND with TIMER1 value (cell B9) until the excel sheet displays the RPM range you want, and the advance values you need don’t give “Out of range” errors. Set the optional rev-limiter in cell M32. This RPM limit is activated by Jumper JP2. To manipulate the points of the curve, type in the advance you want for each RPM in column F.
Play with those steps above until the curve fit in the excel sheet. Any Excel errors will result in a faulty HEX file that will not work ! 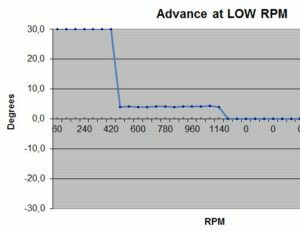 Adjust the advance for low RPM with the help of the multiplier value in cell I2 of the other tab named “advance_at_lowRPM“. Set this for half of the advance at idle given for your bike, so if advance is 12° then set this around 6°. This will allow the 12° pickup to be in control and the PIC will take over at the rpm you have 12° set in bottom of “Advance_curve” tab. Play with prescaler value (cell M26) and multiplier value (cell I2) to change the low RPM range. Once your curve is drawn, there are 2 tables available: Intel 8Hex and Raw data formats. We will use the Intel 8Hex format. Paste the content into c:\eeprom.txt, save and close the file. – then restart Icprog as administrator. “Open Data file“ then load your file c:\eeprom.HEX, which is the Intel 8Hex eeprom data file you’ve just created with excel. Always verify the PIC after programming ! Read the PIC 16F628A with your programmer and save the result in a text file. Open the text file with your favorite editor, you will see the program memory zone where the code is standing. You will see the eeprom data zoom where the advance curve is standing on line 258. Compare the reading with your original file c:\firmware_and_eeprom.hex you used to burn the PIC. Checkout if the eeprom is populated, otherwise the CDI will not work ! [TP3]: A 20KHz square signal is available at RB3/pin9. It can be use to drive a transformer to convert this AC-CDI into a DC-CDI. It can be use to drive a tachometer with the need of some other components. – At startup, Led D3 flashes 2times and goes off meaning that programming was correct. – When PIC input pin10 is high [>2.4v], led D3 (pin2) is on. So at each input pulse received from the pickup, LED D3 blink in phase. – You can remove D3 + R4 to lower the current consumption, but you’ll lose the feedback. – At each pulse going from the PIC (output pin1) to the SCR, LED D4 blink. – D4 is a High sensitivity LED, it lights at 2mA, if you use a classical LED instead, the CDI will work but you wont be able to see anything because a simple led need 10 to 20mA to bright! – You can replace D4 by a 1N4148 if you don’t like blinking led. The firmware doesn’t contain any limit, for that matter a video below show it working at 30’000RPM ! The rev limiter is adjustable in the Excel file, above the last RPM value in the sheet, there is no more sparks. ie: when RPM goes over 10653, sparks stops. Led D4 blink and Led D3 is off. then RPM limit setup in XLS [cell M32 of Advance_curve tab] is activated. This jumper can be use as a racing/legal switch. Soldering R5 and R6 is mandatory! JP1 and JP2 are tested once at boot time! So if you move a jumper, reboot the CDI. Unused pins N° 3-6-7-15-16-17 are grounded for improving electromagnetic protection. If you were not to use jumpers JP1 JP2, still sold R5 and R6 to tie pins to +5v and never leave pins on the air. 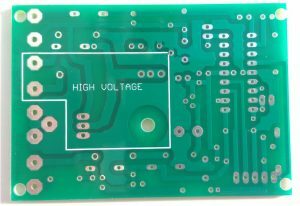 PCB are available for sale ! CDI v7 can be triggered either by a positive-first pickup signal or a negative-first signal. Then use Q1 and Q2 transistors to reverse the negative signal in order to become similar to Yamaha’s pickup. Remove: Q1, Q2, R10, R11. Add : D5, D9, R9. Add : Q1, Q2, R10, R11. 4 strokes, 2 strokes, 1 cylinder, 2 cylinders…? CDI powered ON but not connected to a bike. (without Q1,Q2)(JP1 OFF) CDI powered ON in self spark generation. [soft] Advance at low RPM adjustable. [soft] Suppress adjustement at low RPM. [soft] Bug fix. Adjustement at low RPM available. [soft] Self generation of sparks. [soft] unused pins configured as output. (ECM protection). [hard] C1 = 10nF (ECM protection). [hard] JP1 move to portB (for pullup res.). [hard] add JP2 (for future use). [soft] Internal pull-up resistors removed. [soft] Led D3 goes off immediatly when pickup switch to low state. [soft] PIC fuse: Power Up Timer: enabled. [soft] PIC fuse: Brown Out Detect: disabled. [soft] PIC fuse: Master Clear Enable: enabled. [soft] PIC fuse: Watchdog: disabled. [hard] JP1 move to RB2, [JP2] move to RA1. [hard] Add 2 external pull-up resistors R5+R12. [soft] LED D3 blink 2 times on startup. [soft] LED D3 is off in auto-spark mode. [soft] Usage of a 16bits Timer. [soft] PIC fuse: Watchdog ON to restart the microprocessor if crashed. [soft] No more checksum errors when loading Intel8HEX file in ICPROG. [soft] Output pulse that trigger the SCR is shorter (500µs) to reach higher RPM. [hard] Add D1 for ICSP connector. [soft.] Change the display at low RPM in the Excel file. [soft.] RPM limiter. Can handle pickup position upper then 50deg. [soft.] SCR trigger pulse adjustable from 0.5ms until 5ms. [soft.] Define RA1 as input. [soft.] Define RB3 as Output. [soft.] JP2 is used to BYPASS the advance curve. WARNING: USE IT ON A BENCH FOR TEST ONLY ! [hard.] Suppress unused TP2 output. [hard.] R7 lower from 330 to 180 to drive BTA type SCR. [hard.] Suppress C9-100n that could destroy PIC output in same cases. [hard] Drilling of Pads goes from 1.4 to 1.6mm. [xls.] Major correction in “Advance at low RPM” tab. [soft.] Major improvement of precision. [xls.] Increase accuracy in “Advance at low RPM” tab. [soft.] Increase accuracy when use of 40us steps. [soft.] Now software is a paid product downloadable in Shop Section. [soft.] JP2 used to activate a Rev-Limiter. [xls.] Add a optional Rev-Limiter. Excel file has been corrected because of a error while setting to 4 strokes which didn’t change the values. Now it’s fixed. Thanks to Cristian to spot it. using this CDI for a 4cyl is easy if the engine has a mechanical distributor (Delco) but much more challenging if using 4 electronic driven coils…. Hi , my derbi atlantis 50cc 2000 not have captor coil , how to install cdi programable in the bike ? You can’t! My CDI needs a pickup. Your CDI is certainly using the alternator AC voltage to trigger the SCR. hola, te escribo desde argentina, quiero esamblar el cdi, pero tengo dos dudas, con respecto al pickup como puedo saber que tipo de señal obtengo, si positva o negativa y la otra pregunta es cuando te referis a la posicion fisica del pick up, seria cuanto grados esta desplazado del punto muerto superior del paso del sensor. Hello, I write from Argentina, I want esamblar the cdi, but I have two questions, regarding the pickup as I can know what kind of signal get, if positva or negative and the other question is when do you mean the physical position of the pick up, as would be degree it is shifted TDC sensor passage. I can’t think of anything else then using a oscilloscope or a cheaper PC sound card scope to see if the pickup signal is positive then negative or the other way. By position of the pickup, I mean the “electrical position” not the “mechanical position“. In other words, you’re right: How much degree between pickup and TDC? There are so many different bikes that I can’t answer this!! it’s the same as a single cylinder/2 strokes. but if there is multiples coils (IE 4 coils for 4 spark plugs) the CDI must drive each coil at the right moment but my cdi cannot , there are just able to drive only one coil. my CDI works on BMW as they are opposed twin/4 strokes, and needs only one spark every 360°, the very same as a single cylinder/2 strokes. HT coil is double, so it generates at the same time 2 sparks, and one is wasted as the other cylinder is on its exhaust stroke. but you eventually have to reverse the signal to get a positive signal first in order to have a good timing. A ‘like very much thumbs up’ and order placed . A question on 2 stroke singles . Tach drive normally taken from coil LT wire from standard CDI .Is the pulse reaching the primary winding of the coil the same or does it require modifying ? Exhaust valve YPVS or Honda RC type that require a signal from the CDI unit to drive the exhaust valve controller ECU .Probably rpm pulse but from which point is this taken ? Should I check the output of the original CDI to the EV ecu and measure +V and then take use a similar source from your replacement CDI ? General questions .Do you have a recommended Hamilton case for your pcb’s ?Is it worth swapping out the 2n2222’s for the more heavy duty XT450s in this minor application for reliability’s sake ? Do you have plans for a combined programmable EFI/CDI for singles and 2 strokes .I hqve used mechanical fuel injection in the past on 2 strokes with lack of real success ,and used Tillotson types with great success, and flat slide carbs are great but the whole idea of dispensing with the mechanical issues and bucket loads of jets needles etc.these have with them appeals to me now that there are piles of motorcycle sized components about to adapt to 2 and 4 stroke single applications.Mikuni throttle bodies that will slip straight into a carburettor manifolds of various sizes complete with sensors for very little money. Keep up the good work . A few guys have taken the signal from SCR anode with success. I don’t know about tachometer command, I guess that it could be the same as YPVS with the use of the LT wire going to the coil but some other tach may use a classical 0/+12v square signal: Read the specs. Sorry I don’t know Hamilton materials, here Radiospare (rs-components.com) is a good source of electronics products. The box must be at least 76x53x20 millimeters, internals dimensions, but check the high of the capacitor before buying ! Although 2N2222 are reliable transistors, the use of them is only depending on the form of the pickup signal, if XT450s give a positive-first signal then go without transistors. Yes I agree with you on both counts regarding signals for both ecu and tacho and I should imagine as the three most popular 125s out there ,the Aprilia ,Cagiva and Honda all being made in Italy will be using many interchangeable parts too so I will be triggering the NSR EV ecu and an Aprilia RS tacho, even the looms are similarly colour coded, so clearly nothing fancy going on with any of these. Hamilton make the lovely Euroboard aluminium heatsink cases and I didn’t know if you had designed the board around a Euroboard size until it arrived yesterday .Yes that large electrolytic is a naughty one , common sizes for these are tall and skinny or short and fat neither good for compact cases or board fitting , even above and below the 1500uf 16v rating . I have some that are 10mm dia by 20mm high by Wurth -pricy but perfect .Great service by the way . Sorry about brain failure but I should have said ZTX 450s , pretty much the same as the 2n2222s but are ‘heavy duty’ and can handle spikes and transients better when used in ignition systems.I used them instead of the 2n2222s in the MegaSpark/Squirt V3 I built a while back with good results and it may help in this area.A V12 Jaguar with lots of IGBTs and 2 sets of Audi V6 coil packs ! Is the 4v7 Zener absolutely necessary as I have hundreds of 5v1s or is that running too close to the limit of the PIC ? I’ll have to wait on a reorder for the 4v7s otherwise ! Lastly how about a complete parts kit so kids at school can make these up in class ? I’m with KISS technology,lets face it ,its that Kelly Johnson attributed ethos that took the SR71A Blackbird from design to flight at the Lockheed Skunk works way back ,but the design team was headed up by a British engineer Alan Brown, who made it all look very simple stupid indeed! I try to use easy to find parts that’s why I’m still using 16f628 despite there are much better big brothers of this MCU but this one has been widespread from Malaysia to Columbia… As well as 2N2222, olds but that the kind of general purpose NPN that we can find in our drawer. Obviously everything you can do to strengthen the CDI is great: stronger transistors, spikes protection, wider temperature range… Go for the ZTX things for sure ! PIC inputs are protected by 2 internal diodes that goes to ground and to Vdd line. 5.1 zener diodes are close to the limit of the PIC but one day as I ran out of 4.7v zener diodes and I used 5.1v without notice anything weird. This version 7,9 still need a PIC programmer, so it’s not really a easy kit to build and especially to program and to wire to the bike. I’ve a drafted v8.0 version that doesn’t require a pic programmer, perhaps it’s a better candidate for a KIT…. You set it up in the Excel, therefore in the Eeprom. The software doesn’t contain any limit, for that matter a video above show it working at 30’000RPM ! Hi. Is there anyone using this for SEM CDI replacement – Husaberg is quite error prone, and now the spare parts are getting difficult to aquire. The SEM has the pickup at 60 deg if I understood it correctly. Would that be possible to handle by just another (odd) curve? Why not rebuild identically ? The CDI runs fine on the simulator pulses and shows correct operation on the Scope too. But once you put it on the bike it misfires, backfires hesitates to even idle right. Using Suppressor plugs, changed ignition coil, pickup etc but to no relief. What more to look into? – Does the test led blink all time long? meaning that PIC is rebooting because of EMF? then power it up with a 9v cell battery. – Are you sure about the NP or PN position. How is the sine of the pickup? – sure about the pickup position BTDC ? – First use a flat advance curve around 5deg BTDC before trying a more tunned curve. Hi, on the excel the values of timer change when we select 2 or 4 stroke engine. What I want to ask is why? considering on a single cylinder 4 stroke every alternative stroke is a wasted spark then what exactly is the logic behind it? Or is it for the engines that trigger pulser after every 720 degrees? You are right, this point is not clear enough. in 99% of the cases choose 2. Thanks Thierry for your DIY cdi. Is there any way to use your digital Cdi V7.9 for a motorcycle which does not have a battery. Do we need to change the pcb layout? Adjust R14 in ratio to current consumption. – Is it input signals on the schematic labeled “X1-1” to “X1-5”? Where are these signals coming from? Or, can these signals be used as output signals, analog or digital, from PIC16f628A? – Similar question as from “Loop 26 November 2016”: In absence of 12V battery, but a LV supply magneto coil on the engine- leaving about 14-16Vac. How would that circuit look if 16Vac is connected to PAD2 instead of the battery +12Vdc? X1-1 to X1-5 are dedicated to the ICSP connector. -Use a external bridge rectifier to rectify your AC before connecting it to the DC input !! CDI is automatically generating sparks without any pickup signal, at a frequency of 50Hz. Why do you have 2800RPM 50Hz pulse frequency? Why only 2800 rpm 50Hz to you? I also deal with ignition advance delay microcontroller (12F683/8MHz) software. What is your opinion about it? I didn’t read the 92 pages of this huge thread, but it’s interesting. Personally I’m not a big fan of 8pins PIC as you need some tricks because the lack of availables pins. IE, I would avoid to deal with analog input to chose between 4 curves, I’d prefer 2 jumpers giving 4 possibilities. You chose to separate the timer from the power part. It’s a choice but in my experience, people who don’t have enough skills prefer a unique part or ever the simplest way to build one. Good stuff anyway. Is there any problem using pickit 2 for burning the IC? but for those midrange PIC16F pickit2 is just fine! As Thiery has said the tacho receives a pulse normally of the same voltage in the form of a sawtooth with little duration . This seems to be common on both the tachos I have Honda and Aprilia and I am trying a Yamaha R6 type to make sure that it is the same with ECU tacho out , but although these would look cool on any bike I suspect the ECU driven tachos deliver a 5V square wave to the tacho driver . The NPN common emitter works for both tachos that I have and is likely to be the solution for any tacho that used a combined CDI coil unit . It would seem that any medium power NPN transistor is OK for the purpose ( I chose one at random from my tray) and that output can be used for signal in to the exhaust power valve ECU too for the 2 stroke singles. I chose a medium power mainly because of the additional load required by the exhaust valve ECU but is probably not necessary . This is a great little kit for any young person into bikes with little experience in electronics and soldering and wants to learn the basics of programming ECUs for which Thierry must be congratulated as this is a very affordable way to start. A Merry Christmas to you Thierry and everyone else ! Hey! Glad to hear from you Malcolm ! Thanks for you wishes, and get mines in return for you and all your beloved ones. I’m happily surprise that the NPN interface is enough to driuve the power valve. That’s cool and I regret to doesn’t offer a tacho output anymore on the future version… Hopefully I let 2 output in standby that could be use if I modify the soft. it’s possible to add input from map sensor to pic micro beside pickup sensor ?..if it possible how to modify the circuits n program? No it’s not possible. This would need extra componants, different software and even a powerful PIC. I have built version v7.9 and it worked well. Now I want to programm on the circuitboard with ICSP connector. I use Pitkit V2 with Velleman VM203 but there is a problem, the programmer said; “Program Memory is not blank starting at address 0x000000” Also I can not verify the programm. When I programm the PIC on the Velleman board the programming works well. Can You help my out?? Bad erasing are often relative to Vpp tension. -Have you tried “tools >Use VPP First Program Entry” for Vpp coming before Vdd to avoid the software to start? The option “Use VPP First Programm Entry” did the job, Its working!! You are right but it’s not a bug. At 7Hz (420RPM) the 16 bit Timer1 overflow. Ok, thanks, i see. I’ll try to play with prescaler value. But this does not solve the problem start engine by kick-starter or by bad accumulator. First flash occurs too early and kicks back. It would be ideal to use a second pulse of pickup coil for the first flash as doing many commutators but it need to change schematic. Second pulse in the comment above mean negative part of signal. Can you modify the software to handle the advance of two cylinders with a single micro? No, as the web page title says, its a CDI for SINGLE ! From having 2 cyl driven by 2 separate pickups, you can try to use 2 CDI unit. One for each cyl…. Good evening, is it possible that you can download the source code too? I have built this ignition and it works fine on table, but the bike’s behavior is not too fine…Maybe the ignition timing is not suitable. 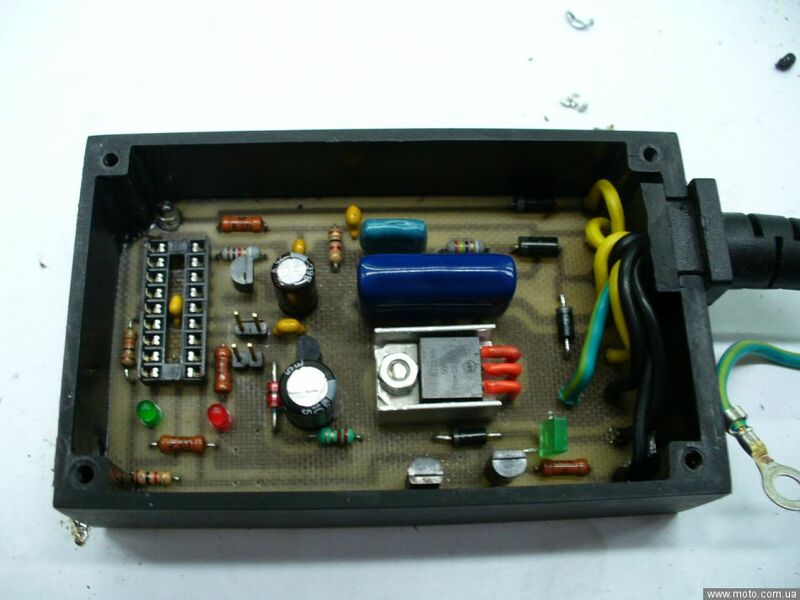 I’ve programmed the PIC with 36º pickup coil position, but I can’t find any information how much exactly is. May you know the exact electrical position? 90′ Suzuki DR650. Thanks in advance. I have already checked it. The pickup coil position is 42 degree. Glad that you sort out by yourself ! j’ai monté votre allumage AC-CDI 16F628 v7.9sur un moteur de 103 allumage électronique, j’ai un petit soucis il ne veut pas passer les 6000t/min, auriez vous une petite idée? Classiquement sur les 2T faut vraiment baisser l’avance a haut regime. R1 = 15k mais ce n’est pas critique, une 10k convient tout aussi bien! Je ne vois pas quoi détailler de plus… Tout les composants sont très classiques et répandus. Hi, Then you need a DC-CDI (to transform +12Vcc into ~200Vac) not a AC-CDI ! Autrement ce convertisseur 12/220 d’Amazon convient parfaitement. Trop puissant (150w) pour un scooter mais ce modele est bien régulé et il y a plusieurs tensions disponibles en sortie. Attention il y a un risque de destruction du SCR car celui-ci va mettre en court-circuit le convertisseur lors de l’etincelle. Hi Thierry, I really liked your device! I collected it and made a curve under your Moto, I was faced with the problem of EEPROM…. I need to tweak the EEPROM like on your photo in the program Icprog ? Thierry, thanks for the quick response! I can’t attach a photo in the comments of your example…after you create a curve in EXCEL, the code in the last line of the EEPROM turned out to 4F 0B 00 02 05 14 09 67 as I understand I need to iceprog in the last line of the EEPROM do so 00 00 00 00 and the next four pairs 14 09 05 67 do not touch? No worries for the translator. I don’t understand why you want to modify the eeprom directly instead of modify the Excel. If you draw a curve while you change the LAST line of eprom, calculations will be wrong! Don’t do that! Each value as a meaning, don’t change them without knowing or you will get a f… mess!! Change the values in the Excel sheet (tab “Advance_curve” and “advance_at_lowRPM”) and the Eeprom values will change in Excel. Then copy (or type in by hand) the values that HAVE BEEN CALCULATED by Excel macro into the eeprom. Don’t invent values that wasn’t in the excel sheet. Hi Thierry! I want to build a device, My question is, 1) Type in the physical position of your pickup in the cell F5. I trust you are well ? A slight accident with complications has kept me away for a while ! Chapter 4 of your link is the most relevant but you can detect the changes with a simple multimeter which will give negative values if you have diodes ,voltage sources etc reversed without going to the length of rigging up anything to most sensors . If you have a water cooled motor your flywheel will generally be flat which will enable a degree wheel to be stuck to the face of it with blue tak . For small flywheels a kids 360* protractor is useful they cost very little . Position the protractor roughly central on the flywheel as close to central as you can . If there are no marks align the sensor with one edge of the magnet on the flywheel . Rotate the flywheel and it will read positive negative or vice versa or go high then low or vice versa on the MM. You now have your polarity . Realign your sensor to the magnet which ever way your rig runs and attach your degree wheel on the flywheel with zero at maximum deflection . Remove plug and place a pencil or something similar down the hole to the top of the piston . Slowly rotate until the piston reaches top dead centre (TDC) keeping an eye on your degree wheel . When the piston goes over the top rock it back to take up slack and establish TDC again by maximum rise of your pencil . Write down the number of degrees rotated from sensor . Retry several times and use the average of all your readings to insert into the BTDC box . With ignition systems that trigger in any other position , e.g. the technique is the same but the inverse of the angle is used as described in the link . You will find that you are close enough to the correct figure to make little difference to your theoretical ignition curve . On this subject I tend to draw a theoretical curve and insert the values by interpolation . If you check out the forums most individuals with programmable systems give their ignition curves freely on graphs for most 2 T and 4T motors particularly the popular ones in various states of tune and this is a good place to start but be a little short on maximum advance and overdo the hi rpm retard a little to stay safe ! I hope this helps those who do not have the ideal setup with all the necessary marks etc . If you are building one of these it is likely you would have a fairly good MM . Thanks on behalf of all the readers for this complete explanation of this trick that works. Let me illustrate your words with some snapshots of the same technics using a comparator instead of a pencil but a pencil works great too and the protractor stick on the flywheel. Are you sure it’s a reset? Does the led blink 2 times like when powered up? if yes, EMI is a electromagnetic energy transmitted from one device to another by radiation or conducted paths. To limit the spikes to jump to all nearby cables, twist the 2 cables that power the CDI and add a ferrite choke around. Do the same with the pickup wires. Use a metal enclosure connected to ground to block electromagnetic fields. thanks.i will try it.yes i am sure it is resetting.the leds blink two times like at powered up.,it is a must to solder the 100nf ceramic cap acros vdd and vcc under the microcntrl socket like shown on the pcb layout? And adding 5,7 ohm resistor before 7805 regulator? becouse it is what i haven’t done.. If you remove all protections don’t complain of reset !!! For any of the 16f628A units, would it be possible to use a hall effect input in place of the captor coil. I saw an input to the micro as a square wave which appeared as a processed signal from the captor coil and this is why I ask. Use would be for miniature model engine as space available favours the use of the hall effect pickup. great efforts with you project, I’m loving it. Made two overall, one early v6 version, and one latest v7.9. For this latest build, I intended in using the CDI on an old school point ignited two-stroke. The plan was never to use the 200V tension, but rather use the thyristor to replace the points. I’ve added the pickup to the system, and I’m generating successful positive first signals to trigger the circuit. However, for some reason couldn’t make it all work. Tried with different coils, with no success. To clarify, PIC is booting, running on the bench and all, but would not throw a spark. Basically, I’ve removed the following components from the PCB: D6, D7, R8, C8. In addition, C2 has been removed and replaced with a jumper wire. Coil was connected to constant +12V feed, and grounded through thyristor (PAD3 disconnected). Curve adjustment called for a 1ms output duration, and if I’m not mistaken, PIC drives the thyristor closed and opens it to throw a spark. This should cause the collapse in the coil, and induce a spark, but instead, I got an overheating coil and an overheating thyristor (burned one of both in the process). Having failed to succeed, I’ve then fed the thyristor from RB5 (inverted output), and got all working on the bench again. However, coil still overheating and no spark. I’m hoping for some of your wisdom, although I’ve modified your design. I hope I didn’t make a mess in this write-up, so please share your thoughts. Thanks for this long description, I appreciate it. Well, you certainly have understood that replacing a old point system mean using a TCI not a CDI. That’s were you are wrong! PIC drives the SCR ON, but a SCR CANNOT BE TURNED OFF by the Gate. It turns off only when the current flooding between Anode to Cathode goes null or negative. With your wiring, the PIC fire the SCR, the SCR connect the coil to the GND and you get one spark, then the SCR keeps turning ON and the coil overheat until it blow up. Ha! Of course, you’re right. I knew i was not seeing the forest from the tree. I will definitely try the IRF you proposed, but for the record, I’m also going with an idea of stepping up the voltage by means of LT1073. Quick feedback for you. I’ve tried the IRF740, and found that it won’t open fast enough, if driven from PIC’s 5V output, due to “high” load. I’ve then added a open collector buffer, to increase the gate voltage closer to desired value. I’ve got the spark now, however I’m struggling now with EMI. Measured across the PIC voltage supply pins, up to 80Vpp, with the period of 45nS. To tackle this problem, I’ve made a simple RC filter, between the 5v regulator and the PIC. With this giving no result, I tried adding ferrite cores, system is running from battery, but still I have significant conducted EMI. I’m thinking of adding another filter, this time a 3rd order LC, just need to pick a right place for it. I’ll give you another update once I’ve solved it. EMI is THE major issue, particularly with TCI because of the coil connected to the same +12Vdc than the PIC ! I have corrected the partlist. do you know if someone adapt your CDI on a 125 DTLC (question behind is does someone used it with YPVS valve)? Version 7.9: I don’t know but Version 6.7 has a curve made by a DTLC125 owner. About YPVS I already talked about that in a comment above. A simple Control+F will take you to my answer. je pensais avoir lu tous les commentaires mais celui ci m’a échappé. Could you please push my email address to Malcolm Robartes. I will try to discuss directly with him about YPVS. on my moto native angle of ignition 18 °, do I need to write 18 ° in cell F5 ?? 4) Type in the advance you want for each RPM in column F. + with the position of the sensor? Example F5 = 18 ° + 4) Type in the advance you want for each RPM in column F. (10 °) = 28 ° advance angle? I understand correctly? No! In the XLS you can read 52degrees in F5 and 10 to 14degrees in column F.
Then 14 is not 52 + something! You fill in the real advance values you need in column F (ie 10°) and the processor take into account the pickup position you wrote in F5 cell. What you call the “native angle” or I call it “pickup position” is the Top signal. The pickup gives a Top signal and processor make all the calculations to send a spark at the good time. In other terms, the so-call “pickup position” is the actual MAXIMUM ADVANCE of your bike. Hi Thierry, i had some problems with my pickup pulser, my pulser output only had 0.8-1.3v, then it cant be triggered pic? Do you had any schema for steping up my pulser output to >2v for triggered pic? Hi, Are your sure? Did you measure with a scope? http://kudelsko.free.fr/articles/mosfet/mos.gif Or a simple LM741 operational amplifier. Yep, i already tested with scope. My stock pulser only had single wire with output volt range 0.8-1.3v. Thank you for response i will update the result immediately. Are there any recommendations on wire sizes or types to connect this to the rest of the ignition system in an AC application? I was able to use a laptop sound card oscilloscope to look at the signals. 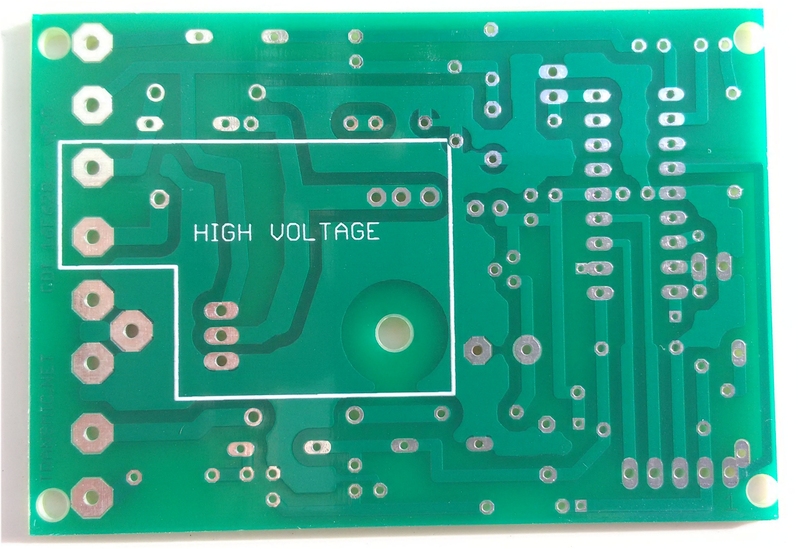 I followed this http://homediyelectronics.com/projects/howtomakeafreesoundcardpcoscilloscope/ but added voltage dividers to step it down to 10 V prior to the circuit on the page. The recommended software works in Linux with WINE. There is also a Linux specific package called Xoscope. 0.75mm2/18AWG or 1.5mm2/15 AWG are the most appropriate. by further up, you speak from the scheme extract above? Usually if the components to add are small, we sold them on the bottom face. Here R14 is 2k7 3watt so you’ll have to drill extra holes for R14,D9,D10. Yes, you can gently rub with a drill attachement then drill the holes and finally clean everything with diluent. Since PAD2 becomes unused, could that portion be re purposed with no battery? 1. R14 between one of 2 extra holes at left of C2 to PAD2. I have a picture but don’t see how to post. Sorry for all for the questions but this is an interesting project. Thanks for posting and maintaining this. Ok, I visualize it. Right you can do it this way! I’m slowly working my way through but have a couple of more questions. 1. Where can I find the heat sink? I have been on Digi-Key but do not see anything like what is in the picture. 2. I bought a PICKIT 3 for programming but do not see how it connects to the board. I will install the PCB connector on the board but it has 5 pins while the PICKIT has 6. It looks like it would almost plug direct into the PCB connector but not quite. (I bought a 6 pin connector by mistake.) I probably need a cable. Where can I get one? It did not come with the programmer. Sorry for so many question but I’m a beginner. Thanks!! 1) Where to find a heatsink in your town/country : Don’t know. you’d see the connection scheme is pretty straightforward ? isn’t it? Follow the advices I gave above. is it possible to make the pulse at pin 1 ( the trigger of the thyristor )longer to about 5 msec , what is about the normal time for a classic ht coil , then it must be possible to use the pic for a TCI ignition for older 1 cyl 4 stroke machines . Then there is only need of the pic and a good IGBT . Why not… but the switch into a TCI is up to you! Use cell M29 in the new Excel file curve_adjust_Excel2010_v79r13c3.xlsm in the download section above. Keep in mind that currently in CDI mode the PIC ignite a spark at the RISING edge of the 500us pulse. If you drive a IGBT and a TCI coil, the spark appear at the FALLING edge of the 5ms pulse. Take that into account in the Excel file !!! Do you see a solution for that ? It is not enough to replace the SCR by a IGBT! Not only the Excel file must be different but also the software to take into account the varying dwell time that must append BEFORE the spark. I offer software for CDI, not TCI. Is that correct what I say ? 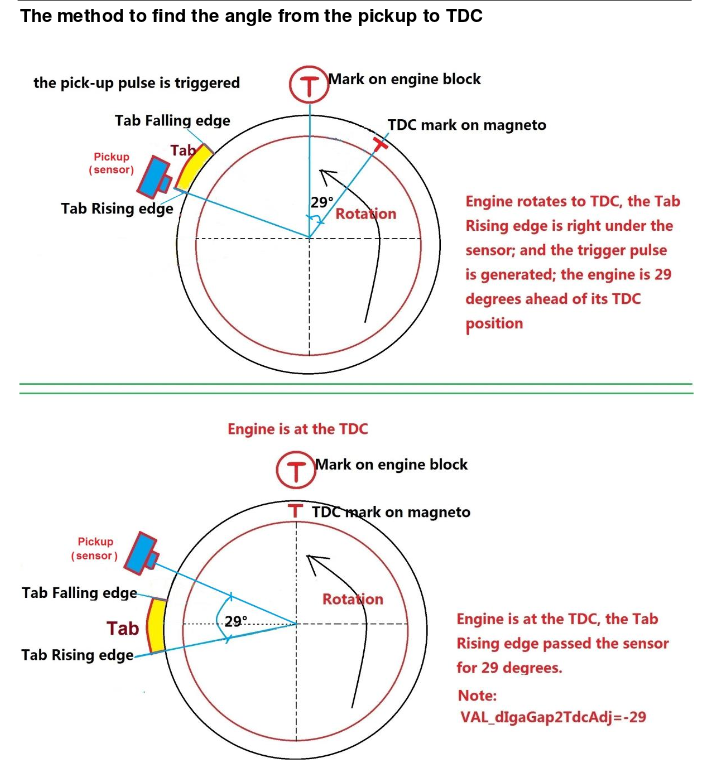 That’s why TCI software turn the coil ON before the pickup signal…! Je vous remercie dans un premier temps pour votre site et votre partage. J’ai réaliser le simulateur qui fonctionne très bien. Je suis entrain de réaliser le AC-CDI 16F687 et je me pose une question sur le schémas: je suppose la diode D7 doit être une diode de roue libre pour protéger le thiristor T1 mais comme elle montée, elle doit court circuiter une alternance de la sortie 200V de l’alternateur. J’ai juste? Si oui, cela ne risque pas de griller la diode ou l’alternateur? Merci d’avance. Effectivement D7 a un double emploi avec D6: proteger le SCR et CC l’alternance negative. C’est un montage commun a beaucoup de CDI. or le pont tient 1.6A et comme la diode devient conductrice a 0.6v, la tension de l’alt n’a pas le temps de monter. Hey Thierry. How can I contact you about shipping information? Is the shipment registered etc. Oups, the Contact link went away in the sidebar menu of posts! It’s back again sorry for that. Methods of shipment are written during the buying process. Ready to use units are send with tracking numbers. Other items (pic, pcb) are send in simple letter. I don’t offer registered mail with return receipt because prices are insane! As long as the pickup position doesn’t make any errors in the Excel file depending on the curve you want, there is no fixed limit. Congratulations on your website renewal. After renewal, there is no excel v79r13c3. Thanks Koshi for letting me know about that miss! Yes some updates have been lost during the migration… It’s never easy as pie! Hello thierry, eh made your ac-cdi and it works perfect on series bikes, on competition bikes the spark is off … I already tried to increase the capacitor to 2.2 uf and I had a small improvement but it still lacks. The original ac-cdi has a very good blue spark. Thank you very much for your contribution. I’m glad to hear that it work perfectly! PS: You need to have a STRONG SCR if you do that as the tension can reach high level…. Thanks for answering. Use SCR bt151 and 400v capacitors, should modify the stator since it is referenced to GND ???. can you add an auxiliary limiter, double auxiliary advance map? Of course you should modify! Stator cannot be referenced to GND ! Unfortunately this PIC is not big enough for 2 advance maps. And I will keep features aside for the paying version, not the free one. I think it’s great, it’s going to be a good cdi with those thierry success features ..
Then I tell you how I work with the modifications. Hey Thierry. As I understand, you’re planning on making a similar CDI to 16F628 v7.9, but with a more capable PIC ? No no!! v7.9 will stay as it. I am writing to tell you that the CDI works perfectly with the bridge rectifier, but I must manage to operate the CDI with half wave rectification. There will be the possibility of making the variable pulse width output for the SCR from 0rpm with 5ms up to 14,000 rpm with 500us. If the modification of the source code is not possible, what would you recommend doing with the hardware? It should be faisable to change the source code for a pulse width from 500 to 5000µsec. Thank you very much for the reply, I await your reply to my thierry email. The new version v7.9R14C0 that you have tested is now inline with the option of “Auto” Dwell. The pulse to SCR is automatically adjust from 5000us at idle to 500us at high rev. I made “AC-CDI 16F628 V7.9”. It idles when I wear an engine and it is stable, but cannot blow. The inside, a high turn do not turn around. Because there is only one pickup, I am connected to 36 degrees. Does a circuit or the program need a correction? What input are you using: for positive-first signal or negative-first pickup signal? If you want help don’t play with us and give ALL informations !!! Suzuki what? model ? Cubic size? how many adv at 1000,2000,3000,4000,5000,6000 ? Thank you for a reply. In the case of one, how does a pickup coil set [Advance at low RPM]? In addition, is there the change of other setting again? I don’t understand your last question! Pickup position is probably wrong. This 50cc should use around 20degree BTDC. Check this out ! Change the “multiplier” in [Advance at low RPM] tab to get around 5 deg of advance. I test it by an upper program. In addition, my motorcycle is different from the photograph that a pickup coil had you put it up. I am glad when you can confirm it because you put up an illustration. In this case is BTDC 45 degrees? Actually it can be 45° or 55° BTDC. You said you use the negative first position (Suzuki), that means the CDI use the Negative pulse which is supposed to be the first. Check the polarity of your pickup (Negative then Positive or the opposite) with a ANALOG multimeter (in milliAmp position) while kicking. When the upper end of the tab passed before pickup, a negative pulse is displayed. I tried the above, but it idles, but a high turn does not turn around. A plug becomes black and feels that I do not spark by the high turn. When V of the pickup coil is less than 2V, what should I do? I use V79R14, software check sum of Icprog and Pickit3 v3.10 becomes [566F], is it all right? >When V of the pickup coil is less than 2V, what should I do? You need a OSCILLOSCOPE to measure properly. A multimeter is too slow so the value you see is wrong. >A plug becomes black and feels that I do not spark by the high turn. HOW ARE THE LED ? >I use V79R14, software check sum of Icprog and Pickit3 v3.10 becomes [566F], is it all right? I think the values you programmed are wrong. Change the “multiplier” in [Advance at low RPM] tab, try big advance, then try big retard and so on and so forth…. After confirming ignition time with a light in a timing, after going over 3000rpm, change time acts violently. An angle did variableness definitely to 3000rpm. The LED flashed on and off. Remove kill switch “D8, C9”. Replace D4 with diode 1n4148. Replace R7 with jumper. Add 220nF in parallel to C7. Use spark plug with resistor or cap with 5k resistor. Some of these possibilities helped me with problems at high RPM. didn’t understand why he needed to program a LOGARITHM-like advance curve to see a 20° FLAT curve with his stroboscopic lamp ? It’s normal. This is due to the pickup coil that ALSO provide advance when RPM changes. So Ramiro had to compensate this extra-advance by more or less advance into the processor. It appears with ANALOG VR pickup technology where the voltage and timing change with RPM. It doesn’t appear with DIGITAL pickups (like Hall effect sensors or Opto sensors). Something to keep in mind when it comes to setup your advance curve !! This also shows how much a strobe light is essential if you want to tune the engine seriously! Hi, from my point of view it is not logarithmic, but more something like a RC curve. What is the function of C9? Make the triggering faster? I would remove this one (or add 47 ohm in series), because it is responsible for peak currents (higher then maximimal current for the microcontroller pin) for a short time when starting the trigger puls. The microcontroller sees only D4, C9 and C5 in series. This will results in high peak current during changing levels on RA2. C5 is only to prevent false triggering of the thyristor. I would propose to do a test with removing this one. And indeed it’s like a T=RC curve. Well seen! I have an other idea. Currently R2x is 10k, but intelnal in a thyristor and a triac is always a low ohmic resisor inside (depending if is is a sensitive gate type or not, in the range of 70-300 ohm). So R2x of 10k has no real function then. The snubber sircuit R8 and C8 are there to protect the thyristor/triac agains high dV/dt during commutation. According the datasheet of the BT151 maximal dV/dt it typical 130v/us with open gate (minimal 50v/us). When Rgk (in our case R2x) is 100ohm dV/dt at communtation limit is increases to 1000v/us (minimal 200v/us). I didn’t do measurements yet, but I can imagine that we don’t need a snubber circuit any more when we lower R2x to 100ohm. This saves room on the PCBA, but we need a little more trigger current for the thyristor. After writing this down I realise that the removel of the snubber circuit will generate more EMC-RFI. So at last it is NOT a good idea anyway. It’s a bad idea to remove the snubber in term of parasitic noise, EMC indeed, it could freeze the processor. Regarding R2, You could certainly remove it if you exactly know which SCR is used and the spark coil characteristics. But as this CDI is build over the 5 continents, many differents SCR are used not to mention coils. So it’s safer to leave this pull-down resistor on. I have a Suzuki XF650 Freewind. I don’t know the CDi spec but it’s normally like the DR650 post 96. Is one of your CDi compatible? You mentioned: Suzuki XF650 Freewind. 1 cylinder 4 strokes from 1999. Mil gracias Thierry anduvo muy bien el cdi en una moto lifan 110cc. copia de honda . Desde Argentina muchisimas gracias por este desarrollo al compartirlo al mundo , ya que este tipo de circuitos y programas es muy limitado!!! Saludos! Thanks for letting me know that it works great on this monocylinder 4strokes 110cc. You are right there is not much free resources for DIY CDI. Is there a way to purposely change the rev limit to a certain value during operation (e.g. with a switch)? For instance, lowering the rpm to limit the top speed of the scooter. It would be useful in certain situations . It’s possible to use JP2 to activate a rev limiter but it will not be during operation, way too dangerous! But tested at the startup. But yeah, I’m of course interested in the potential and the oppurtunities of this clever circuit. I am very thankful and I feel so honored that you are trying to find a solution to my problem. PS. : I was also thinking about leaving the original CDI in the scooter too and trying to switch between them (between Yours and the original) with some kind of relay, or something. Because the original CDI is limiting the rpm. But I don’t know whether Your or the original CDI would tolerate it. For example to switch the CDI back to the system at 6000 rpm. Version v79r17c0 now include this feature of rev-limit. Thank you very much Thierry, you are awesome! At startup the led D3 flashes 2 times and then goes off , that works OK , after that iI give signals from a hall sensor , they are exact 0 V or 5 V,, the pic works , I see the pulses on pin 1 and the led the led D3 flashes , that is ok , but the led D3 goes on and stays on it does not flash . What am I doing wrong ? In the text and the schematic of the AC CDI , can I see that there is a 20 kHz signal at pin RB1 ( pin 7 ) but on my pic , the signal is at RB3 (pin 9 ) , or am I wrong ? Exact! I have changed the 20 kHz signal from RB1/pin7 to RB3/pin9 from version7.9r15 without changing the text and the schematic. I will bring it back to RB1 on the next version this month. No big deal. You say:”the led D3 flashes , that is ok , but the led D3 goes on” but don’t tell what is the trigger of this change of behavior? Is it when you increase RPM ? after some time at idle ? What is the default output level of your Hall sensors? this afternoon I have made a new hall vane ( B ) , that is the inverse of the original vane ( A ) , the time that the signal is High , is now very small and the low time is long , and the led D3 flashes now at the frequency of the hall pulses . I have made some pictures , but how can I attach them here ? That’s exactly what I wanted you to find by yourself! I though about your story and the ONLY explanation is the the default level (the level of the hall output without any magnet in front of it) was high. It’s simple: The LED is high when the pickup of the hall sensor is high. A hall is much lower. I don’t know what exactly the minimum must be but I think a HIGH time of 5degree is safe.